Diets, “fixes,” 30-day challenges — you might feel like you’ve tried it all, and are still disappointed by the lack of permanent results. You understand that reaching a healthy weight involves a significant lifestyle change. You need something different, something that could actually work this time. With Pierce Medical Clinic by your side, this could be the time that your weight loss aspirations don’t fizzle and fade away, but instead turn into something tangible. The weight loss programs at our clinic are tailored to your needs, customized to your goals, and implemented through a medical background. Our weight loss clinic has brought a multidisciplinary team of physicians together, all of whom have specialized training and expertise in helping people lose weight — and to help keep it off. We recognize that healthy habits and proper education are crucial to your weight loss journey, which is why our team offers medical weight loss counseling. We are here to support you in your goals, every step of the way. 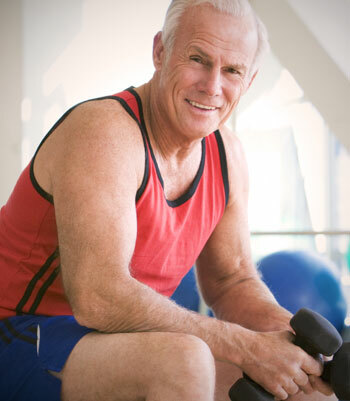 When you start with Pierce Medical Clinic, our team will work to build the best plan and weight loss program for you. Here are some of the services our medical professionals might recommend, that could best cater to your weight loss needs. This is a medically supervised option in which your caloric intake is monitored and limited. There are supplements provided that work to replace meals, and our weight loss clinic offers several fasting program options. Depending on what your weight loss goals are, our medical professionals will help you decide if Total Fasting, Modified Fasting, or our 2+2 program is right for you. Just like you go to a doctor to get treated for any number of conditions, our Medical Weight Loss Program treats your weight as a health condition. You’ll get personalized and individualized attention from a doctor, who will suggest potential solutions and treatment options that are otherwise unavailable with other weight loss programs. Controlling our cravings and appetite can often be one of the toughest things about trying to lose weight. Especially for anyone who has struggled with diets, you know how challenging it can be to lose weight when you want to eat. Our Appetite Suppressant Programs might be the solution to you seeing a difference in your weight loss goals. With Human Chorionic Gonadotropin, your hormone levels can be elevated to help boost your metabolism. Our weight loss clinic is fully staffed with medical professionals who monitor and educate you on administering HCG, either through injection or tablet form. A three-week maintenance period follows this time, allowing your weight loss goals to continue being addressed. Depending on your metabolism and what program you choose, you could lose 12-30 pounds a month. ARE YOUR WEIGHT LOSS PROGRAMS SAFE? Yes, our medically supervised programs are a safe and effective way to lose weight. We perform lab tests and EKG to make sure that you are healthy enough to start our programs and you are monitored on a weekly basis for blood pressure checks. This varies on the weight loss program that best suits you, the amount of weight that you want to lose and the time frame that you want to lose it in. Our programs range from $199-$1200 a month and are all inclusive, meaning that you won’t have any surprise charges. WILL INSURANCE COVER ANY OF THE COST? We do not accept insurance, however, we are happy to provide you with a superbill that you can directly submit for reimbursement of medical costs. FSA & HSA accounts usually cover our types of programs. Yes—we offer our patients different types of payment options to make them affordable for everyone. CAN DIABETICS DO THIS PROGRAM? HOW ARE YOUR SHAKES DIFFERENT THAN WHAT I CAN BUY OVER THE COUNTER? We offer complete meal replacements with our shakes. Most shakes on the market just contain protein, ours have the added benefits of a being balanced between protein, carbs and fats and also include your daily minerals and vitamins. The weight loss programs at Pierce Medical Clinic could be exactly what you need to make a lasting lifestyle change. Start with us today by scheduling your free consultation! Years of trying to lose weight may have left you feeling discouraged and disappointed. After feeling like getting (and sustaining) a healthy weight just isn’t in the cards for you, it makes sense that you might feel like nothing can help. And yet, with all the things you’ve tried in the past, you haven’t tried Pierce Medical Clinic — and our weight loss programs might be the solution you’ve always hoped for. Contact our weight loss clinic for a free consultation, and see what possibilities might be in store for you. We look forward to your call! Sit down with our staff to review your medical history and find out which program is the best for you. Get ready to lose weight and feel better. Our weight loss clinic and women’s health center wants you to get the results you desire, both for your body and life as a whole. We know that sometimes your finances can get in the way of your health and aesthetic aspirations, which is why we are proud to offer specials and deals to help meet your goals. 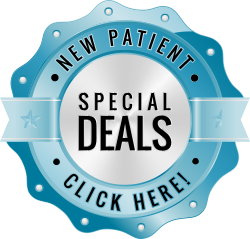 Take a look at our current specials, and contact Pierce Medical Clinic to get started!